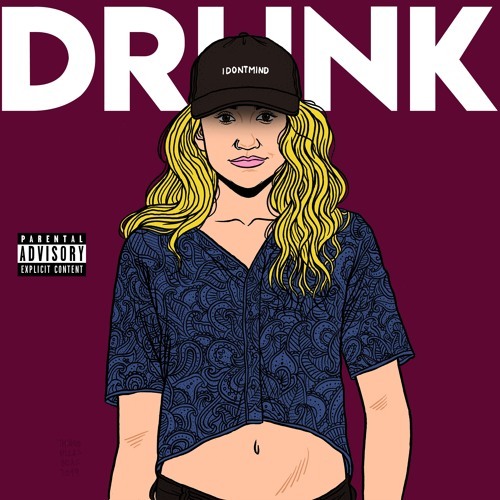 British singer-songwriter Chloe Castro has just dropped her groovy new single Drunk, out today via Kaleidoscope. I am loving the raspiness of her vocals, which are so distinctive and give the song quite an addictive grit. Listening to this song makes me want to dance and looking forward for a fun weekend. Loving those groovy guitar licks and riffs that, combined with an infectious beat, perfectly back her lush vocals. There's also a playful vibe that makes me love the song even more. The song fuses elements of Trap R&B, soul and hip hop with Chloe's soulful vocals being reminiscent of early Jill Scott or Amy Winehouse. It’s about grounding yourself, like when you get caught up in something and you know you're more into to someone than they're into you… you have to put a lid on it before you get attached and completely lose yourself.